Icicles hanging along the eaves of your house may look beautiful, but they spell trouble. Ice dams are walls of ice that typically form at the edge of your roof or gutters when these areas clog up with ice. Ice dams are a pervasive and damaging winter roofing problem caused by poor roof ventilation and a warm attic space. Left untreated, ice dams can cause serious damage to your roof, gutters, paint, insulation, drywall, structure and even contribute to mold. Dams can tear off gutters, loosen shingles, and cause water to back up and pour into your house. When that happens, the results aren't pretty: peeling paint, warped floors, stained and sagging ceilings. Not to mention soggy insulation in the attic! The dams form when melting snow on a roof runs off and refreezes at the edge of a roof. This condition occurs when the snow is melted by a warm roof, creating water running between the snow and the warm roof surface, then freezing and turning to ice when it gets past the exterior wall and hits a cold unheated roof edge or gutter. In order to prevent ice dams from damaging your home, there are several short- and long-term steps you can take. After this snowstorm, use a roof rake or push broom to remove snow from your roof. Use caution when working on your roof to prevent injuring yourself or damaging the roof’s materials. Never use salt or calcium chloride to melt the snow on your roof, as these corrosive chemicals can shorten the lifespan of metal gutters, flashings and downspouts. If water is already leaking into your house, making channels through the ice dam will allow the water behind the dam to drain off your roof. Hosing the dam with tap water on a warm day, working upward from the lower edge of the ice dam, will help you accomplish this. Keep in mind that this is only a temporary solution and that you must use extreme caution when working on your roof. You may also want to install deicing cables on your roof, which are essentially heated wires that melt the snow. You can have the cables professionally installed, or purchase a DIY kit at a hardware store. Increase the insulation, sealing and ventilation in your attic to reduce heat loss. Make your ceilings air tight to prevent warm air from flowing from your house into your attic. Call a professional to assist you with this type of work, especially if you are not comfortable or fit to be working on your roof. 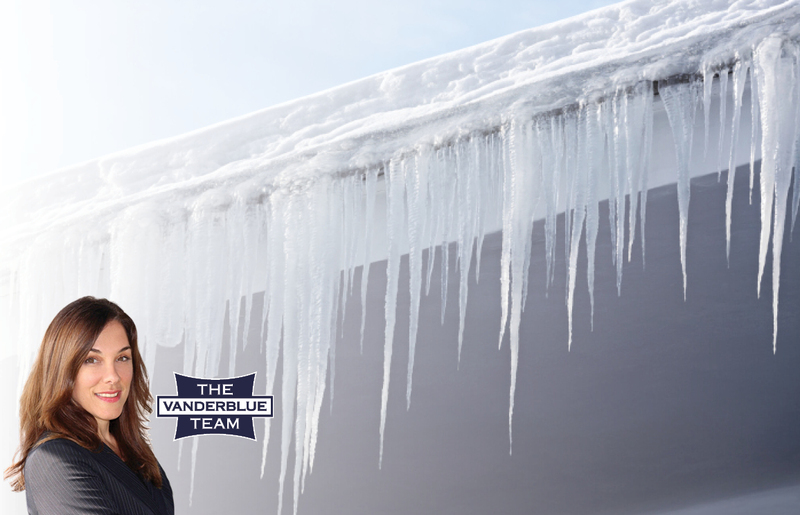 The recent snowy weather has created perfect conditions to create ice dams. Ice dams, left untreated, can cause some serious damage to your home, resulting in thousand of dollars in needed repairs.